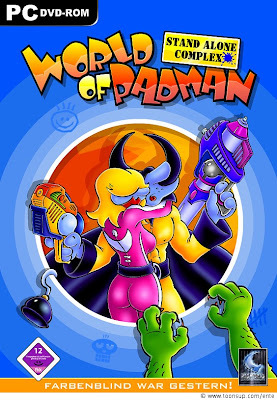 World of Padman (WoP) is a first-person shooter game that is developed and headed by the professional cartoonist and illustrator ENTE and his team. The game was initially developed as a modification of the original game Quake III Arena and was titled PadMod. After the source code for Quake III Arena was released, the game became standalone. The current version runs on an enhanced version of the ioquake3 engine, which is based on the Quake III Arena engine. The gameplay is fast paced and you have to fight your way through unique game modes with funny weapons and power ups as a cartoonish Pad character. The multiplayer game boasts of many game modes that include tournament, free for all, team deathmatch, spray your color (spray a logo on the walls in the spray room), big balloon and last pad standing. The game allows user modification and custom maps and also bots that can be used for online and offline play. The game recently got a nice major update (version 1.5) and brought many new features that include a new game type, new maps, new player models, a new weapon, new power ups, improved textures, new sounds and music tracks, menu optimizations, improved HUD, new cross-hairs and many many fixes. Full changelog can be found here.